Some mothers would be content with homemade scones & an afternoon relaxing. Not my mother. Some mothers are content to spend Mother’s Day at brunch followed by an afternoon at the spa. But sitting down and relaxing, even after two hip replacements, are not activities my mother believes in. When my family and I awoke to a perfect spring morning, I thought I just might be able to trick Mum into spending a leisurely day sunning ourselves in the garden. 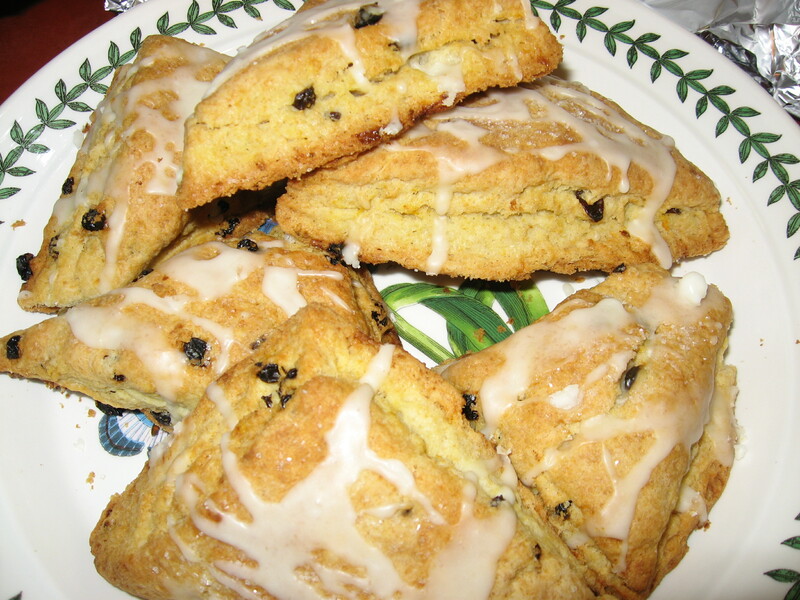 I baked orange-current scones, cooked-up Spanish-style fava beans, scrambled some farm-fresh eggs with cheese, and the three of us gathered outside under the umbrella to dine in the fresh air. I was encouraged. Could it be possible that I’d get to spend the rest of the day reading David Sedaris and catching some sun while she sat peacefully and color-coded her calendar? I felt a gardening glove hit my shoulder. I knew it’d be a long time before I’d be allowed to sit down again. 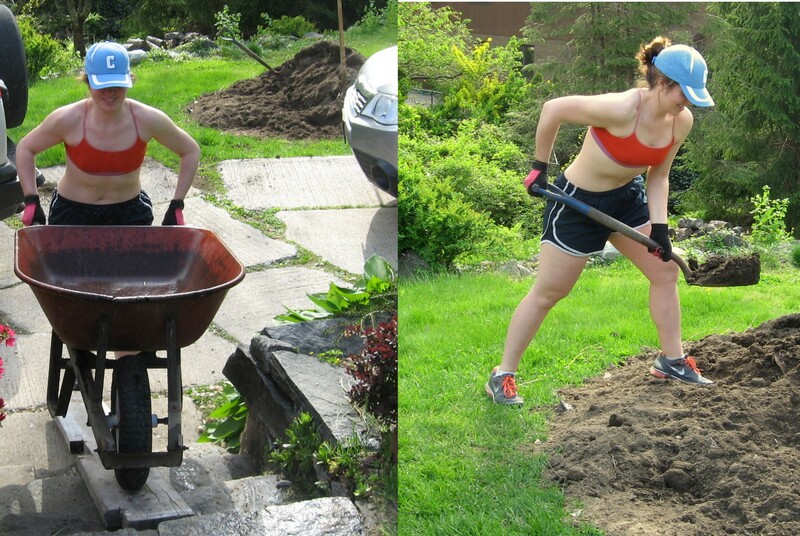 Over the last 2 years, I may have cultivated a new interest in gardening, but let me tell you, digging up a lawn, hauling dirt up stairs in a wheelbarrow, and spreading peat moss over grass seed is not gardening — it’s back breaking work that should be left to professionals. At the end of the day, after we had finished the lawn and I finished cooking dinner, my father, the dogs, and I collapsed into heaps on the couch. Next year, forget the homemade, thoughtful gifts. I’m buying her a landscape gardener named Carlos so I can spend Mother’s Day at the spa. 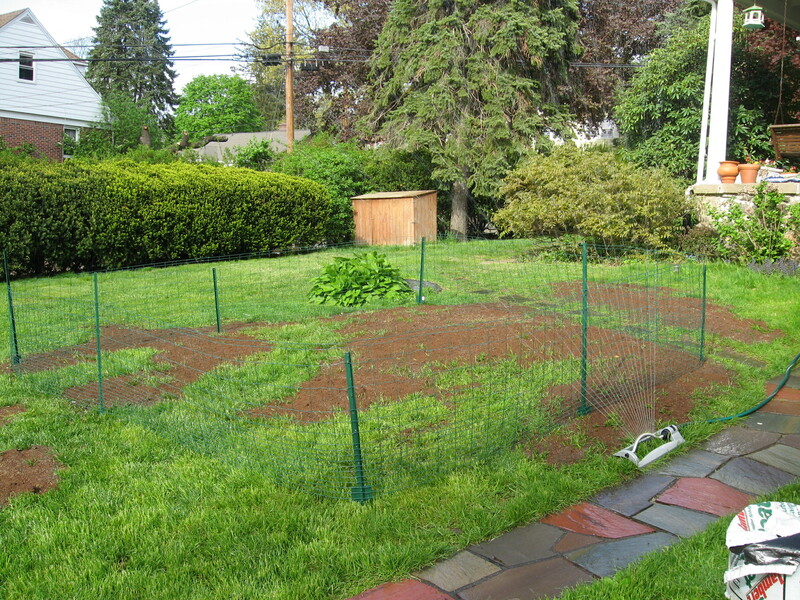 Tilling and reseeding a lawn isn't gardening. It's back-breaking work. But Mum got what she wanted. And I got a bottle of Aleve. I spent the last couple of days planting a garden and some flowers. We should have passed up the rototiller at Lowe’s and picked up a Mexican instead!